Great for keeping animals in or out! 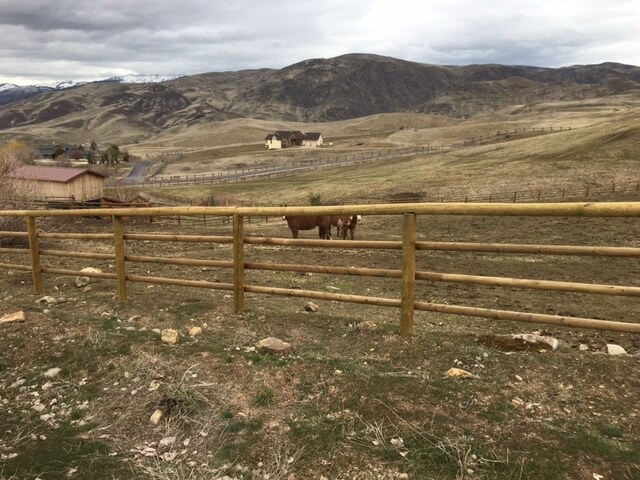 This type of fence, a top rail fence, has a traditional western look. 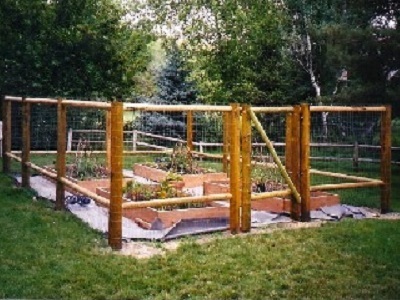 Top Rail Pole Fence is primarily used for the containment of animals, from lamas to rabbits. Use with no-climb wire, welded wire, or galvanized panels. We used 4′ no-climb wire on both these fences. The standard height is 4′ to 5′ above ground, depending on the installation. 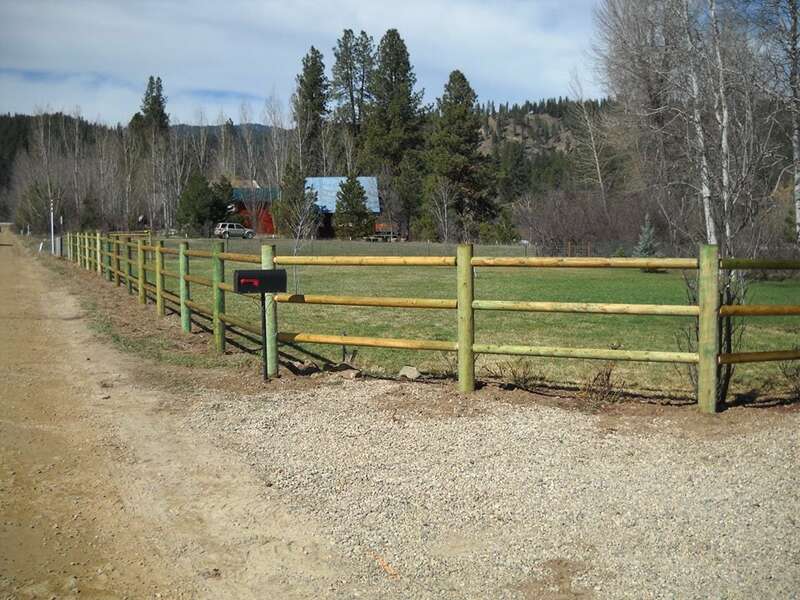 We often add wire to our top rail fences to keep animals in or out of our client’s property. 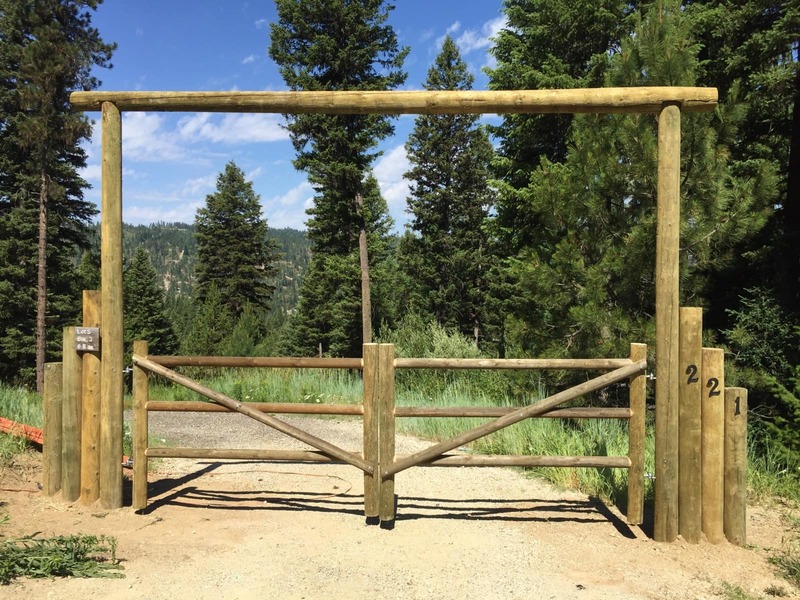 We use 16′ poles with a diameter of 3 inches or 4 inches depending on what our clients want. 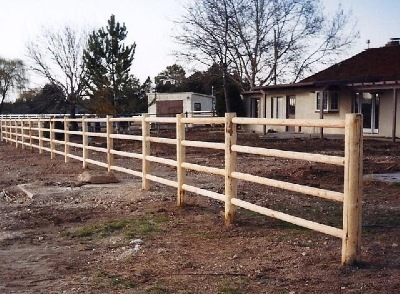 These are long lasting top rail fences. 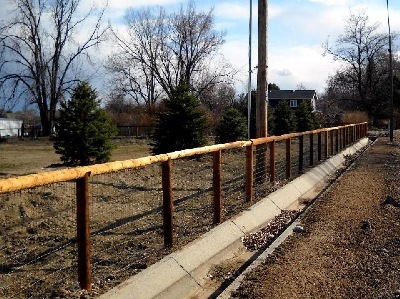 When our team installs a top rail fence on your property, we deliver your project on time and on budget. Our team is friendly to work with always knows where we’re at with your project. 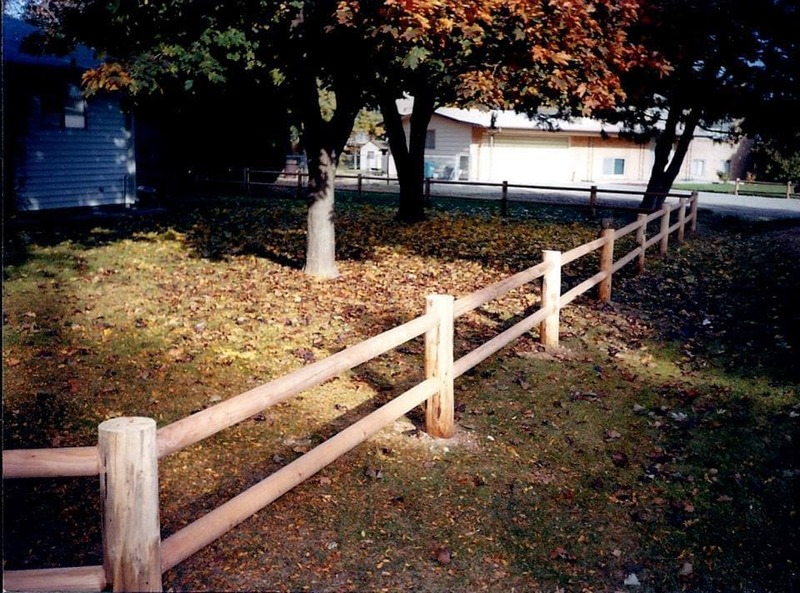 Call us for a free estimate to install a lag on fence! 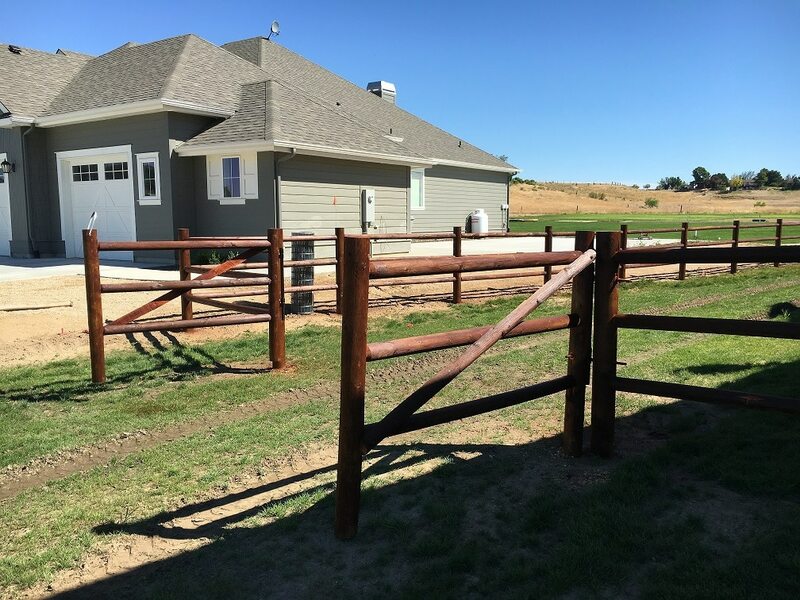 Examples of our top rail fence below!